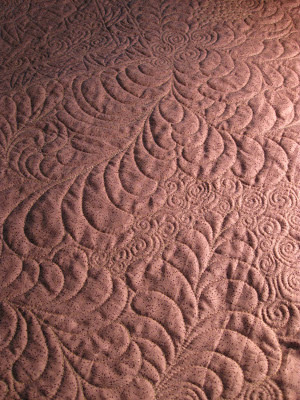 Quilting the borders of a Dresden plate quilt. Ever have a quilt that you swear had 5... or even 6... corners? And, you've rounded Corner #3 and there are still two more corners to go? How could that be??? 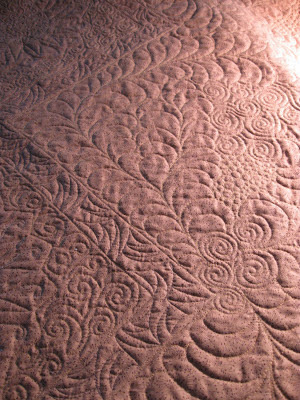 Although I am thoroughly enjoying quilting this quilt—and quite pleased with the results—I'm ready to pin it to the design wall and audition bindings. 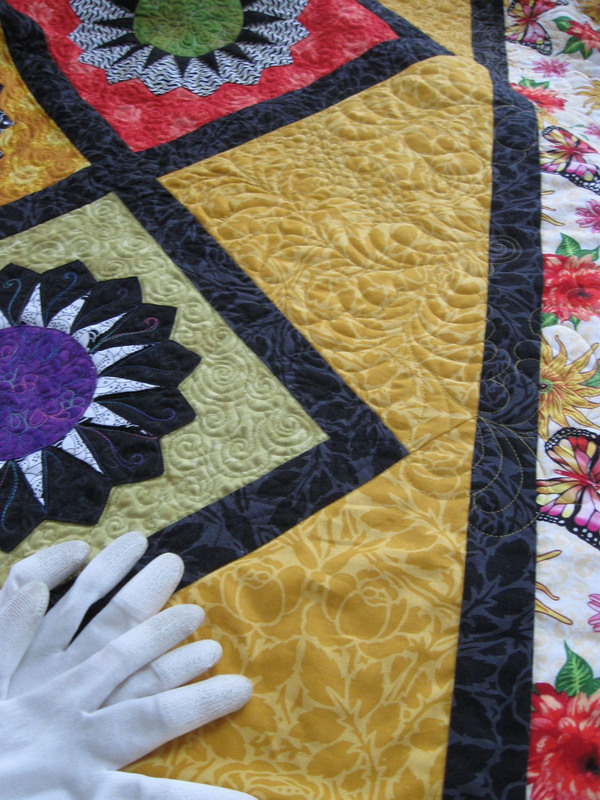 This is a Dresden plate quilt made to feature fabrics from the Dahlia collection by Frances Newcombe of Belly Buttons Boutique. 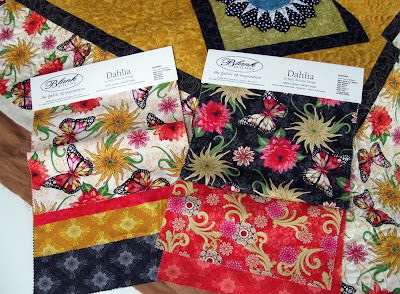 Actually, the lively butterfly print (that I chose for the border) is what inspired it. Blank Quilting's Dahlia fabric collection in two colorways. When I get finished, I'll tell you about my new favorite wide backing—Sparkle. The color I'm using on this one is called "java." 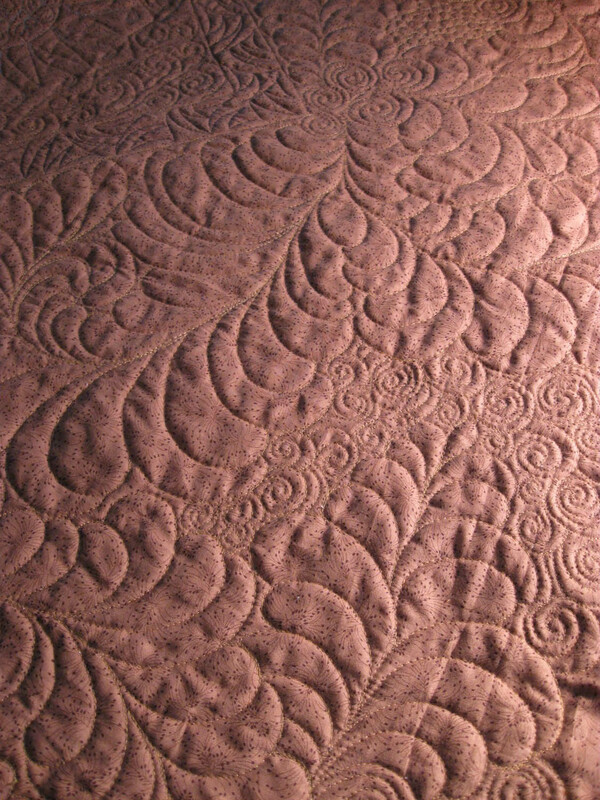 Detail of quilting on back. 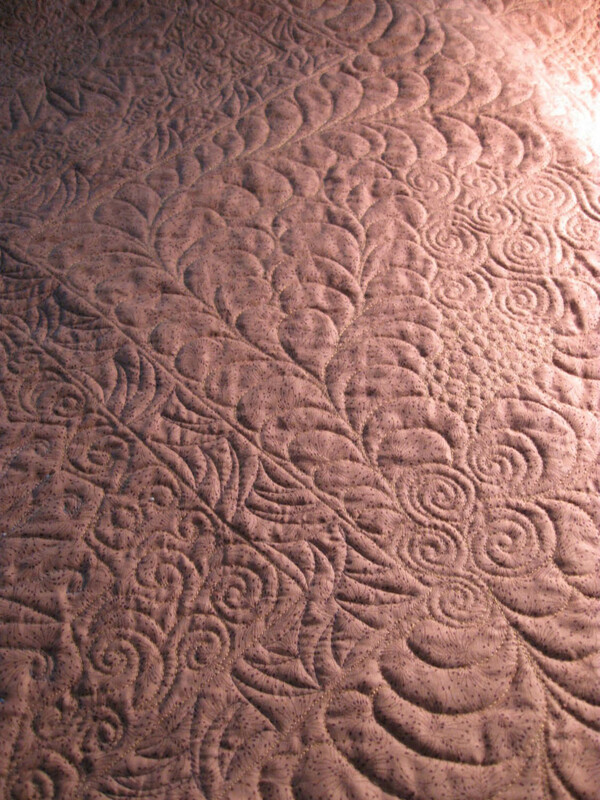 Sparkle wide backing (color: java).